I’ve been dreaming of coastal inspirations lately. It has been a hot summer here in Georgia. And by hot, I mean…HOT. Sweltering and humid with no breeze. It’s got me thinking I need to head to the ocean with the family. But it’s not going to happen right now. Our family has had a crazy year so far. We’ve been traveling in different directions, Moto-Boy lived in New Zealand for over two months, Rider-Girl lived in Montana for a month, and the BHE and I went to Israel for a couple of weeks. All of this has made me dream of renting a house at the beach for a month and everyone just chilling out. 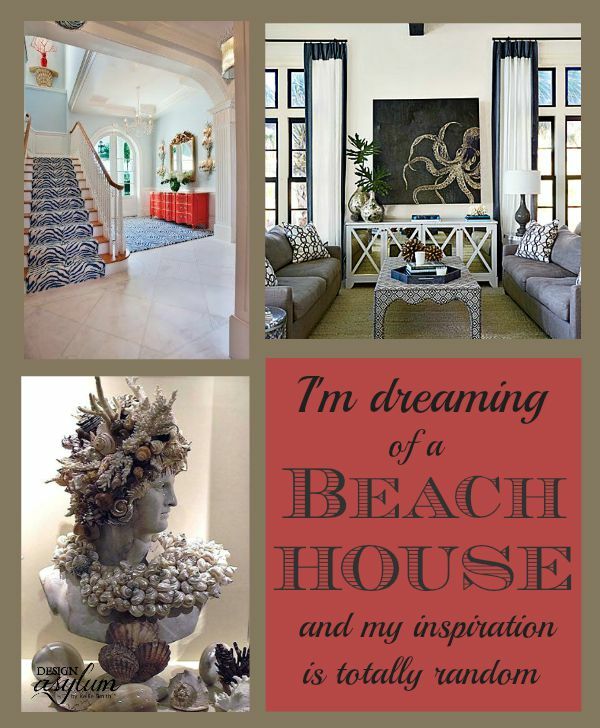 But then that lead me to think about how I would design my beach house if I had one! I love so many different styles. How would I ever design a beach house? Check out my coastal inspiration randomness. This fireplace is absolutely divine. Drool-worthy. Dee.Vine. What about a more understated look with this very crisp, white kitchen? 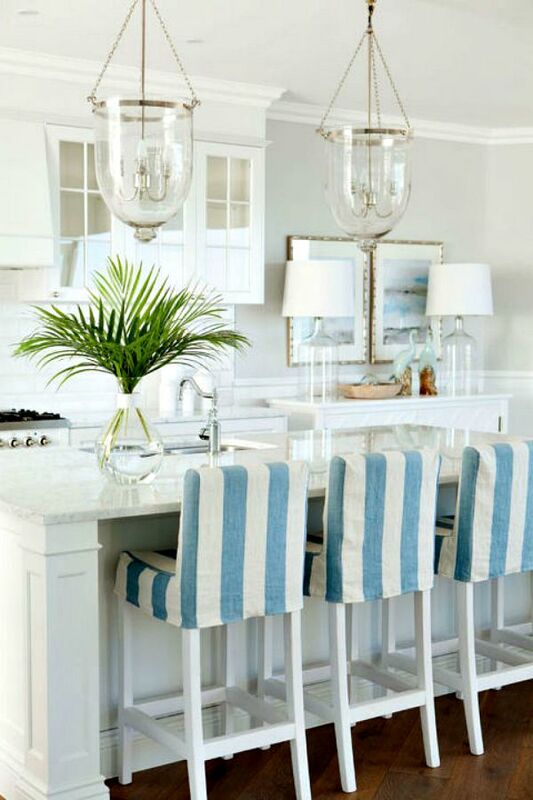 I love the cabana stripe on the bar stools. 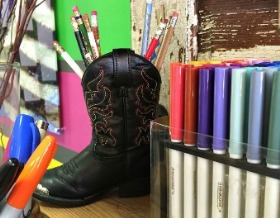 I would want to create beautiful decorative accent pieces like the one below. 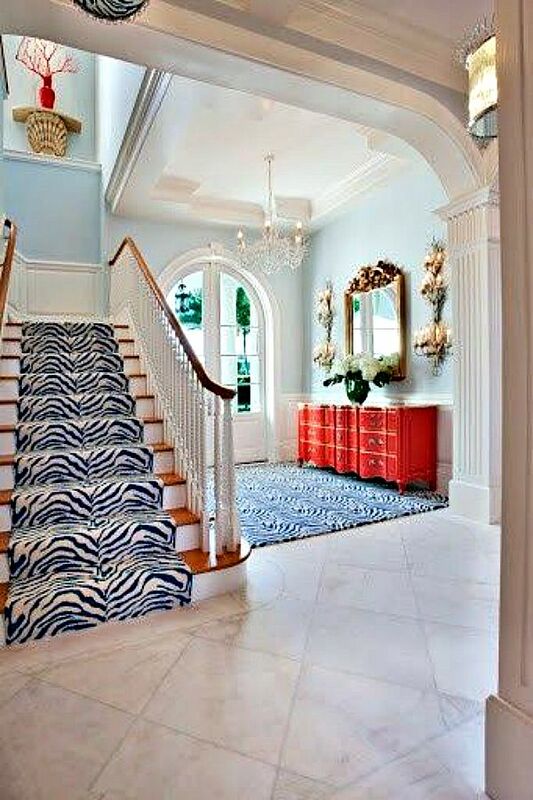 I love the stately elegance this would bring to a room. And oh my gawd, look at this piece. I believe it belongs to Paula Deen. 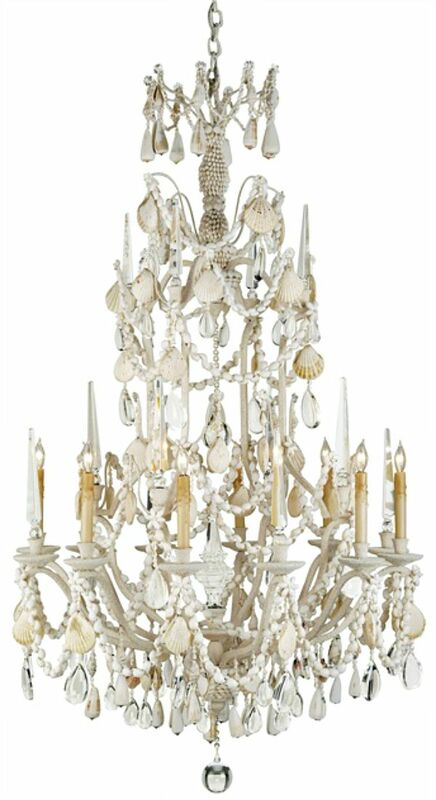 I would have to find somewhere to hang this fabulous seashell chandelier. 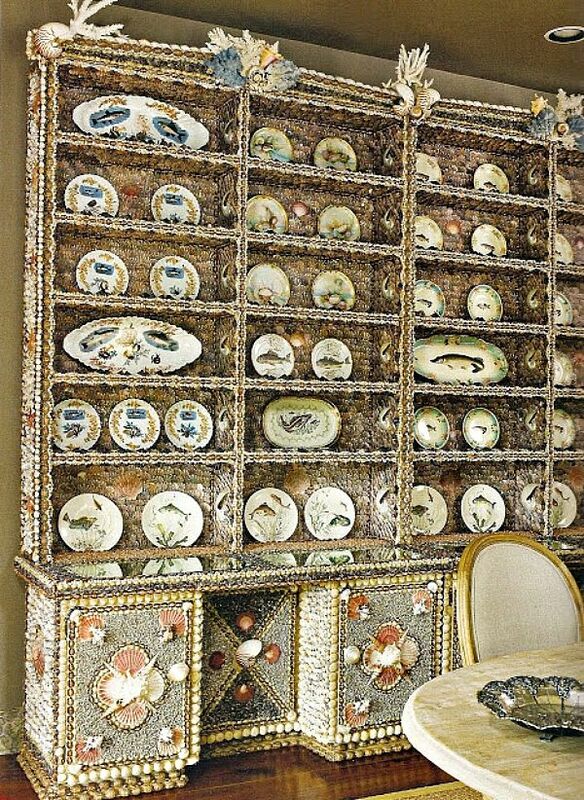 But I love the dark accents balanced with the white too…the art, the table, so rich. 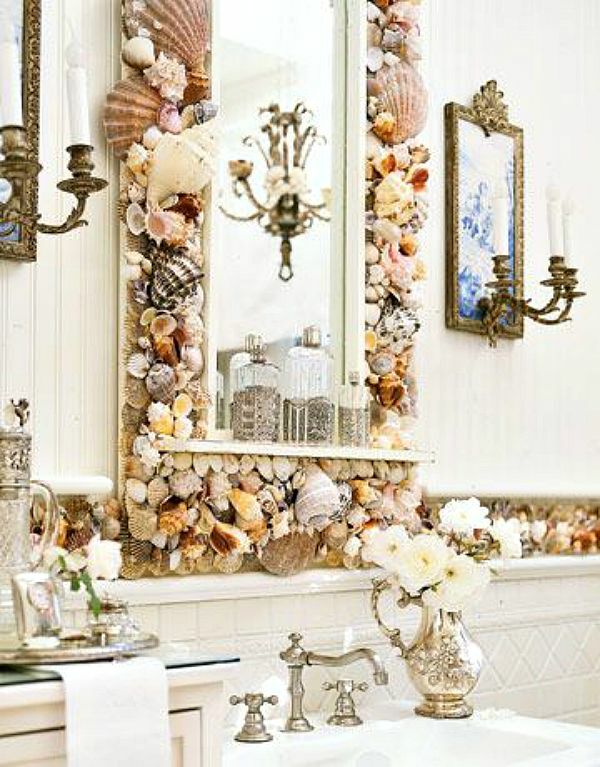 And more seashell fabulousness in this bathroom. I. Am. Dying. 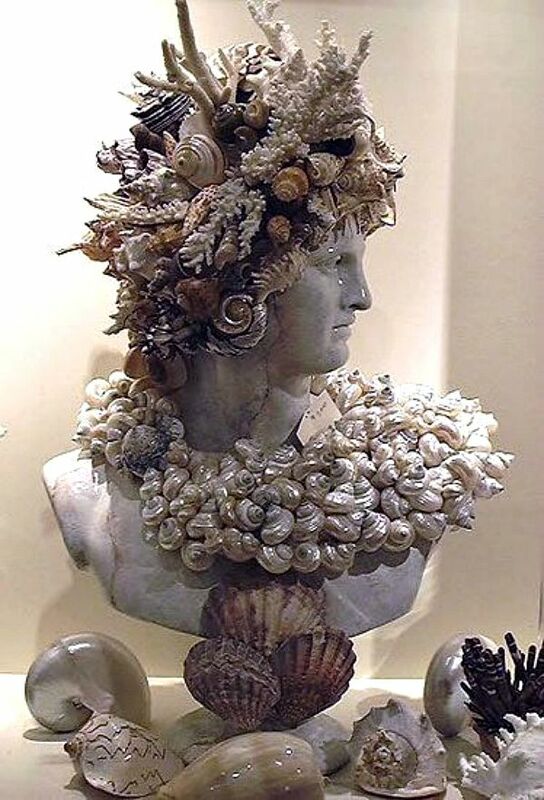 And speaking of seashells…yes please…. Did you guys make it to the beach this summer? 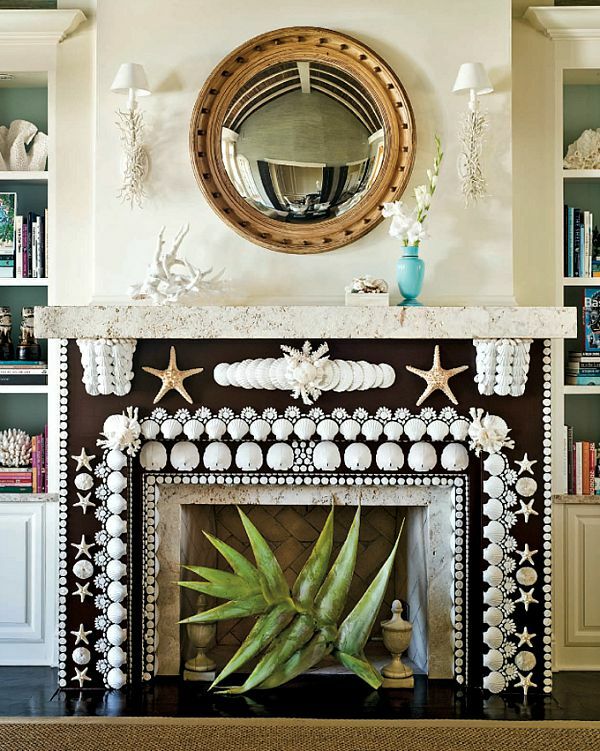 How would you decorate your beach house? 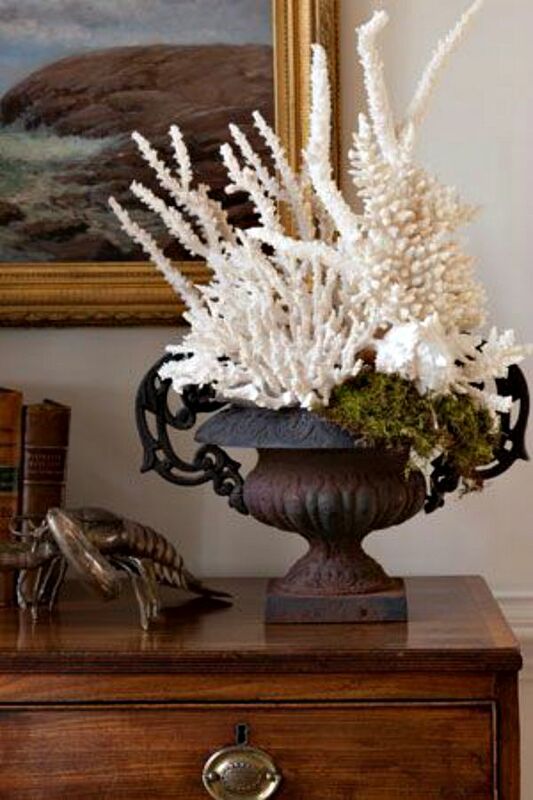 Check out my Pinterest Board All About: Coastal Inspiration for more. There is so much sea shell architecture going on, and it is awesome! Thank so much for sharing these coastal ideas. Love them! 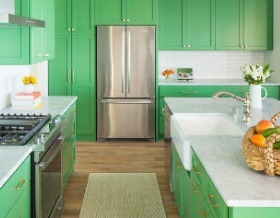 Wow, this is some great home inspiration! 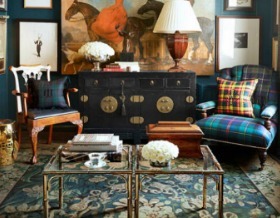 I think my favorite is the room with dark accents – that octopus painting is awesome! Thanks for sharing!